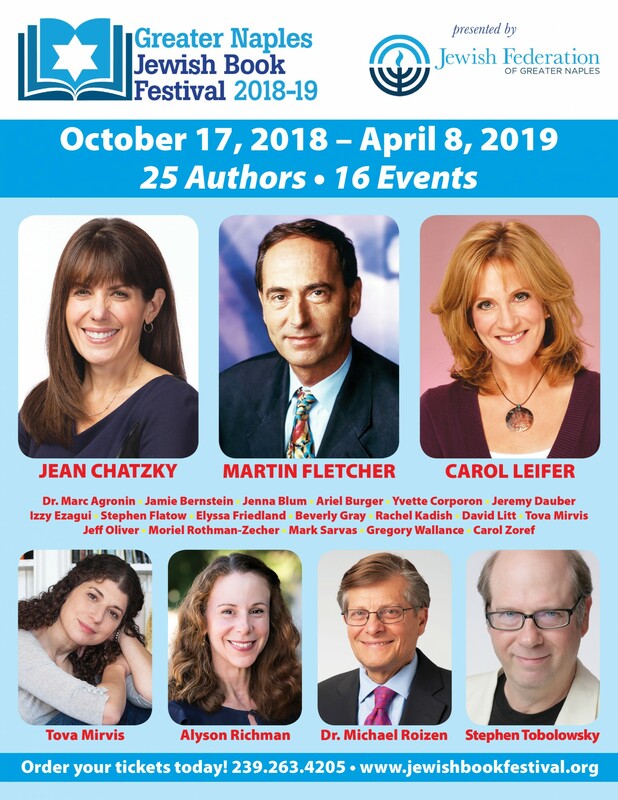 Thank you to the 2018-19 Greater Naples Jewish Book Festival authors, sponsors, patrons, ticket buyers, committee members, Federation staff, volunteers and venues for making the festival a huge success! Look for an updated website with information on the 2019-20 festival at the end of August. View, download and print the Festival order form. Mail, in person or by phone. See the order form for details. Most of the Festival’s books are available at the Barnes & Noble store at the Waterside Shops. Books will also be available for purchase and signing at each author’s event. Have questions that have not been answered on this site? Send an email to fedstar18@gmail.com or call the Federation office at 239.263.4205. Click on the brochure cover below to view the 24-page festival brochure. Copies are available at the Federation office and at all festival events. For a low-res PDF click this link. are $15 in advance and $20 at the door. 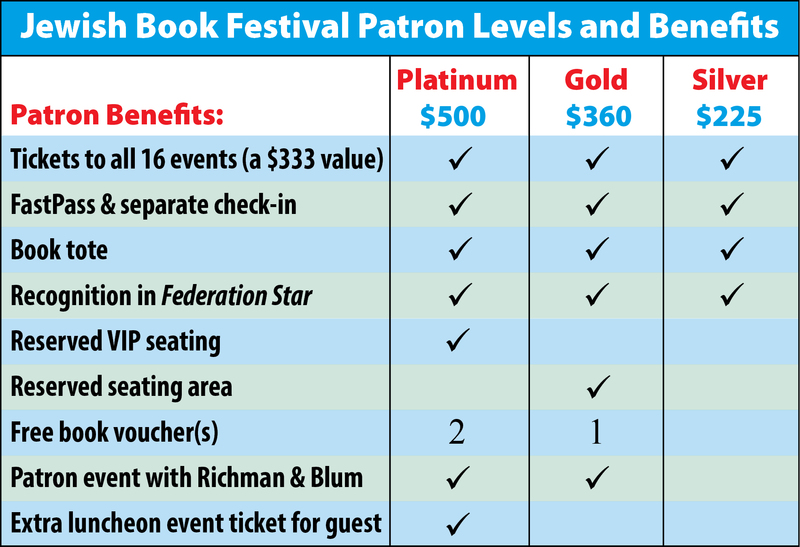 See the Order Form for Patron benefits, ticket information, venues and more. scroll to the bottom of this page for links to their websites and books. 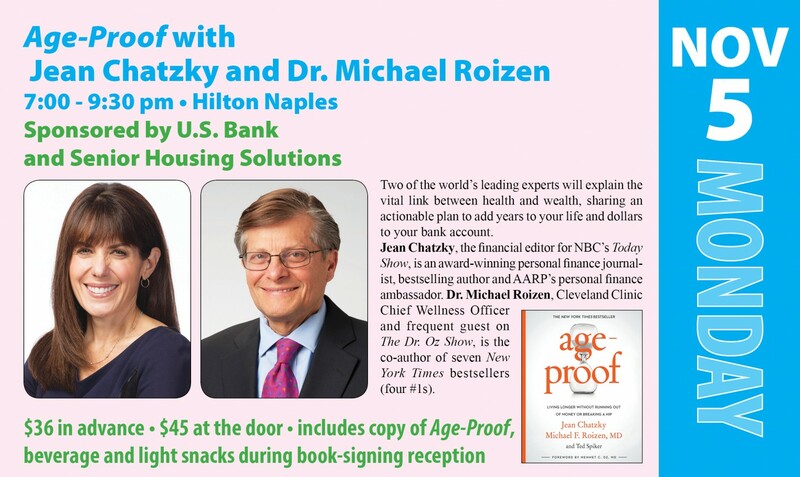 Sponsored by Wollman, Gehrke & Associates, P.A. No physical tickets will be issued. Simply check in at each event. You will receive an email reminder about a week prior to each event. 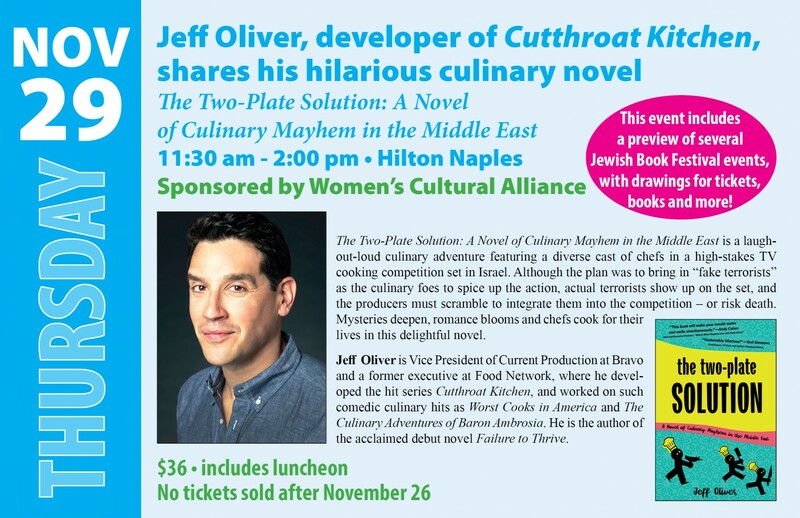 No refunds unless entire event (both authors for multi-author events) is canceled and not rescheduled. If an author cancels (weather, illness, etc.) we will attempt to reschedule the author in late March or April. 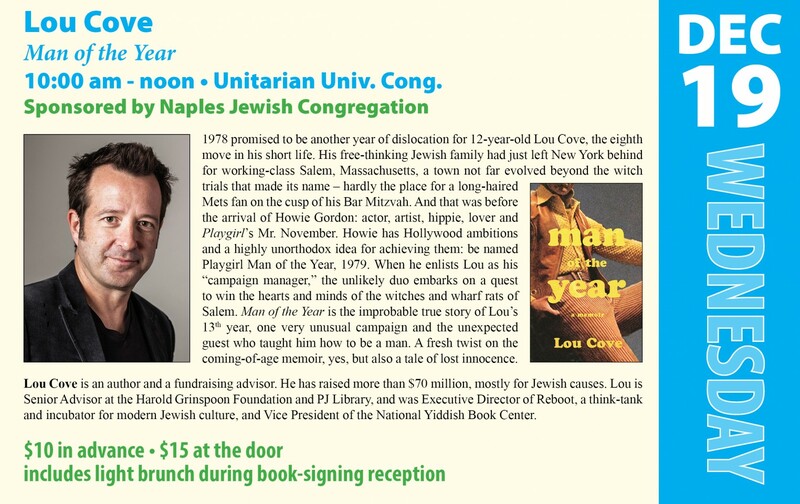 Your original reservation will be good for the rescheduled event. If you cannot attend an event, you can give your seat to a friend. Please call Shannon or Reneé at the Federation at 239.263.4205 to make the change. Open seating at all events. 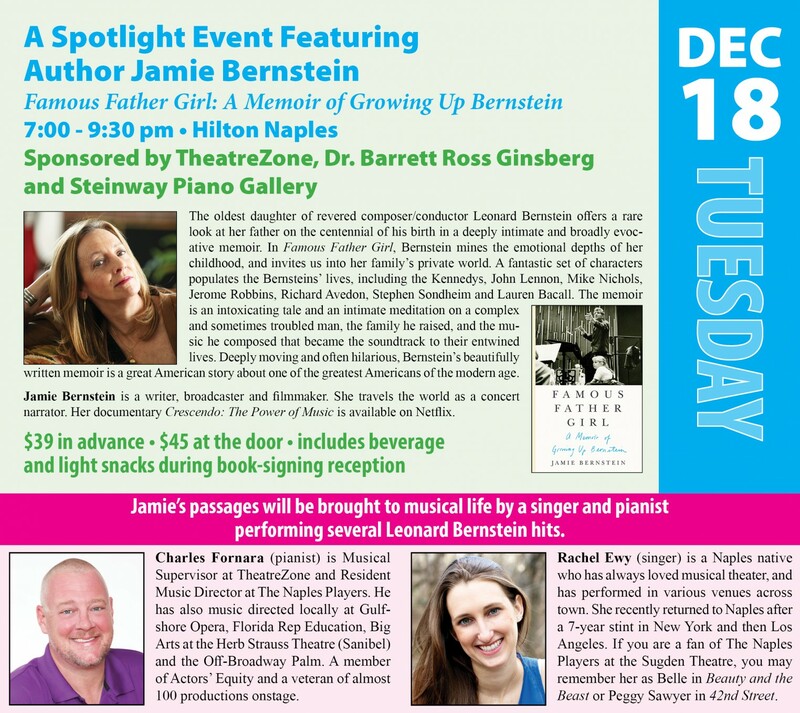 Platinum and Gold Patrons, and Sponsors will have reserved seats. Event payments are NOT tax deductible. If a venue needs to be changed, all ticket buyers will be notified via email. 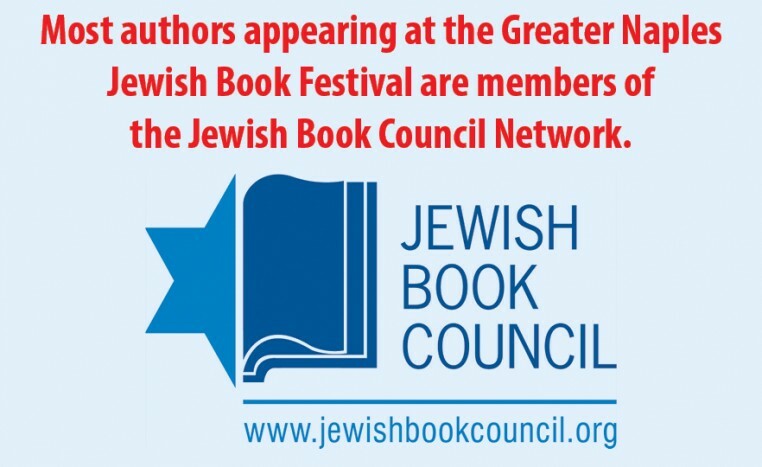 For more information on the Festival authors and their books, click on each author's name below. Wollman, Gehrke and Associates, P.A. 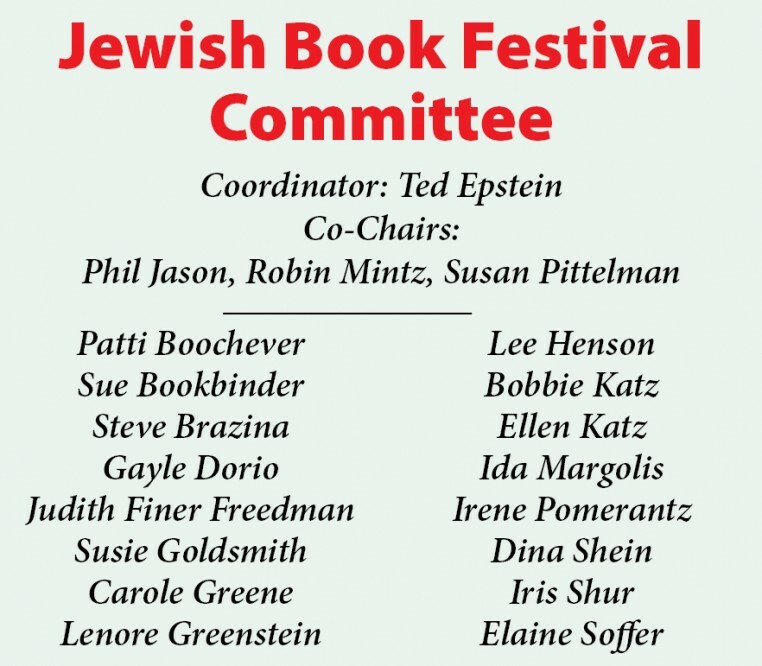 The Holocaust Museum & Cohen Ed. Ctr.